I am writing this late, so many details of the week escape me, but I knew I wanted to write something. I attended Cisco Live US 2018 in Orlando this year. I had so much anticipation leading up to it from the moment it got approved at work. I had first learned of Cisco Live while attending the Cisco Network Academy at my local college. It seemed like a dream that I would never have. Alas, it came and went. I stayed at a hotel that was about a 15 minute walk from the conference, which was nice. I got ripped off by an Uber driver for the first time while I was there too, luckily I got refunded. I took my CCNP Switch exam for the first time on Sunday before the conference. I unfortunately got a 706 and needed a 790 to pass. I am sure I could have studied more to pass, and plan on retaking it soon. After that point, the conference itself felt like a whirlwind. The conference was SO BIG. The sessions were great and I learned a lot. The World of Solutions was also quite impressive. Throughout the entire week I felt like I barely scratched the surface of what CLUS had to offer, and that feeling came early and remained tangible. I met some great people and got to go to some great parties. I got to see Ludacris at a nearby House of Blues. I got to go to a Top Golf for the first time. I got to go to a Main Event for the first time (the VR zombie game was insanely awesome). I got to go to Universal Studios for the first time, which was a great time, especially seeing CAKE. Honestly, the thing that was most disappointing was the fact that coffee and snacks were at scheduled times. I WAS EXPECTING READILY AVAILABLE COFFEE ALL DAY. The staff literally set up the coffee stations about 30 minutes before the scheduled "coffee time" and then covered it up with a sheet and stood there until the scheduled time. That was unfortunate because it seemed like every time I wanted some coffee, I either couldn't find any, or they told me they couldn't serve it yet. Ultimately, I am not sure if I plan on trying to go every year, but rather maybe every two or three years. I will be attending CHI-NOG 08 this year. I am super excited about going to learn some new things and meet some great networking folks. CHI-NOG is the first and the only Chicago based Network Operators Groups. The group was started by network engineers and network architects to create a community, to learn from each other and meet others. We get away from our keyboards and screens to meet in person every year bringing in speakers from all over the US to learn and have a beer with them. CHI-NOG is vendor neutral so we aren’t trying to sell you anything, but you do get a pretty awesome t-shirt each year for attending. I went last year to CHI-NOG 07 and loved it. The venue was beautiful, the speakers were great, and I learned a ton. The vendor hall afterwards was small and intimate, so you could ask all the questions you wanted. All of the vendors seemed pretty laid back instead of being super sales-y. Network Engineer Roundtable: What's On Your Mind? 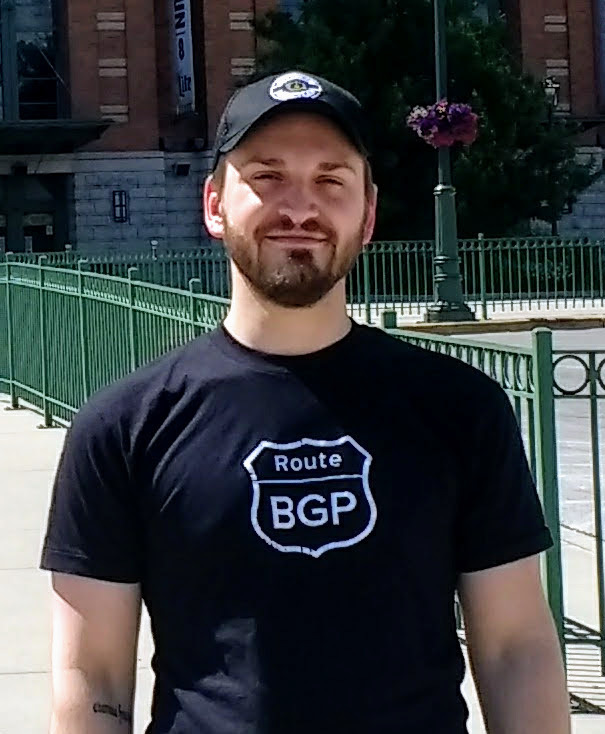 Recently, I had the great pleasure to record a podcast with the Packet Pushers on their Weekly Show alongside other great network engineers! If you want to make sure you get every new Packet Pushers podcast release, check out their website at PacketPushers.net! Put the new image in your TFTP server root directory. Some switches do not have enough Flash storage space to hold two IOS images, in these cases you must delete existing IOS image from Flash before transferring the new image to the switch, because because if you don’t the TFTP file transfer will fail. If there is enough space to hold both images, then skip to Step 3. Note: You will need to change the text to delete the image that is on your switch. This removes the image from the flash, but here will still be a directory called in Flash that has the same name as the image, but the image will be gone, leaving you enough space on flash to transfer the new image to the flash. Note: Change the input to match what you uploaded to Flash. Must be in global config mode. Also, you can have more than one image specified in the boot system config. The system will try to boot to the first in the list, if it can not, it will try the second in the list. It may be helpful if you have both the old and the new image on Flash to specify the old as a fallback. Note: You need to see EXACTLY the image you uploaded to the Flash on the first line of the results before you reload. System image file is "flash:/c3560-ipbasek9-mz.122-55.SE9/c3560-ipbasek9-mz.122-55.SE9.bin"
Recently, I have had the great pleasure to write for the Packet Pushers Human Infrastructure Magazine! For my first post, I thought it would be easier to have a Q&A format to help people learn about me and my goals of this blog. Q: What have been your experiences in life? A: I have had a passion for technology since I was a kid. I had some experiences in high school working on computers and took all of the tech related classes, such as a CompTIA A+ prep class, C++, HTML, Visual Basic, etc… I tried to get jobs at cell phone stores so I could work with technology every day, but no luck. I got married, had a kid, and started going to night classes at our community college. I opted for the Cisco Networking Associates degree, and immediately fell in love with networking. I excelled at school and planned on pursuing the Cisco Route & Switch certification path. Q: Who are you as a person and as a professional? A: First, I am a husband and father. I love my family and spending time with them. They are my motivation for a successful career. Second, I am a Network Support Specialist currently in my career. I handle many of the day-to-day help desk tickets, but I am “The Network Guy” among our team. Since graduating from college, I have attained my CCNA Route & Switch certification. I have been in my position at work since 2015. Q: Is this your first blog? A: This is my first blog. I have considered it for a long time, but ever since listening to the Packet Pushers and many other podcasts, I finally decided to start one for the sake of furthering my knowledge. Q: Why would someone come to your blog and what would they be looking for? A: My guess is that someone like myself, who is relatively new to their networking or cybersecurity career and who is striving to further their knowledge, would find my posts helpful. They may be looking for posts on certain technologies and procedures or study tips. Q: What’s in it for your readers? A: They hopefully will gain some knowledge on how to do certain things in networking or cybersecurity. They will find some helpful study tips as well. Q: Who are the people you will be writing for and what are they like? Q: What are you looking to achieve with the blog and what will it look like in the long run? A: I am hoping to have a place to keep my career-long notes and to solidify my knowledge. Maybe I can help others along the way. Over time, I am hoping to increase my ability to write down my procedures and thoughts, benefiting myself and others. Q: Do you encourage comments? A: Absolutely! I would love feedback from readers to help me grow. Q: How can readers email you if they have questions, suggestions, or complaints? A: Anyone who would like to reach out to me can email me at " matthew.r.alley @ outlook.com " (remove spaces) and send me a message. Thanks for checking out my blog! Hopefully I can provide value to you in the future. I am a husband and a father. I plan to maintain and advance my career in the field of information technology. I have a passion for Networking and Cyber Security. I am CCNA R&S certified. See Disclaimer in About page. Awesome Inc. theme. Powered by Blogger.